For a gorgeous ride-on toy with a difference, you’re going to want to buy the kids a puppy – of the Brio kind, just to be clear! 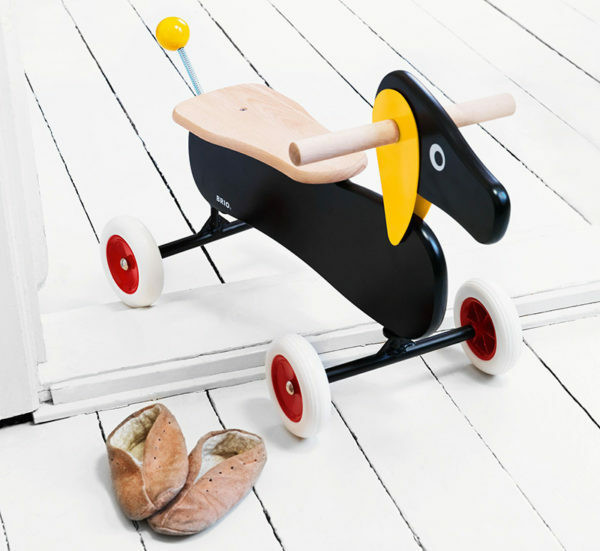 The cutest dachshund I ever did see, the Brio Ride-on Dachshund has a definite retro vibe to him. White rubber tyres, a beautifully curved black body, yellow ears and sealing the deal, a yellow ball spring tail which constantly wags. With a sweet seat for littlies to sit on and nice wide handlebars, this little guy is certainly a cute ride-on toy like no other. Priced $157.45 from Knock On Wood Toys. Go on … buy the kids a puppy!